Hong Kong vs China for Genuine USB Drives? 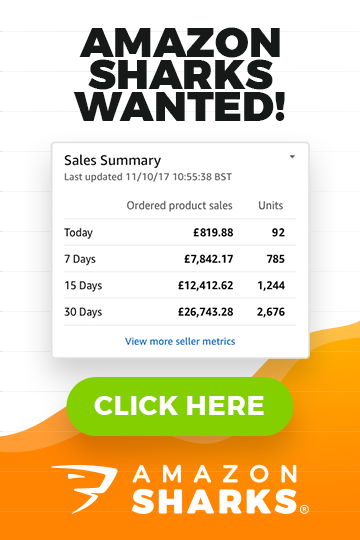 How Can I Make £1k a Month on eBay? Help With My First Import from China! Can I Still Make Money on eBay with Your Used-Goods Concept? Is Alibaba Still a Viable Sourcing Option? Selling Clearance/Closeout Clothing on eBay – Easy Money? Confused About VAT vs Sole-Trader vs Registering on eBay – Please Help! eBay Sales Have Tanked! What Can I Do? My name is Mamun and I have recently purchased the EAB course. I’ve just finished watching all of the videos and it’s been extremely helpful for me (I’m now planning to buy more training materials in the future after seeing how useful they can be). I have done some research on Terapeak and my current plan is to sell USB drives on eBay. I have searched Alibaba for suppliers, using SanDisk for example, and have found a supplier from Hong Kong with 6 year gold member status as well as an onsite check. Is it safe to order from this supplier? Another company from China has the same features as the Hong Kong supplier but on the brand description they say ‘for SanDisk’ rather than just SanDisk? But the packaging is the same as the original so I’m a bit unsure? Is it safe to buy from such companies as they do have 6+ years gold membership? One more thing – some companies mentioned Brand: OEM but I don’t really understand what this means, can you please help with this? Buying branded products from China is a very, very risky venture. While it’s true that you can get genuine branded products, particularly electronics, from Honk Kong, it’s still very risky – even more so when these storage products are involved. 6th year Alibaba Gold status is obviously a good sign and generally indicates a reputable supplier but it alone doesn’t guarantee that you’ll receive genuine goods. What you could do though is maybe order some samples from them and check whether they’re genuine products or not. It can be a tricky task though as often these knock-offs are so well made that it’s hard to notice any differences even when compared to originals side by side. Also, when you deal with storage products, you have to be very careful and vigilant to ensure you receive the product you actually ordered. What I’m referring to here is one of the most common tricks used in this industry where you are sent the correct product but at a much lower capacity. For example, you order 128GB memory cards but the supplier sends 8GB cards, but they look exactly the same. And you can’t even check this by simply inserting the card in your PC as they have programmed it in such a way that it will actually show as the fake storage capacity. So the only way to properly check such memory cards is to use special software or by simply manually trying to copy files to make up 128GB, that way you will know for sure whether or not the cards are the correct size. As for the other supplier, from Mainland China, if the packaging uses SanDisk logos, it’s a fake, illegal product that you can’t import for re-sale. Mainland China is only good for un-branded products and nothing else. Lastly – OEM simply means that the supplier/manufacturer can put your company logo on the product itself as well as the packaging, making them unique to your brand. I talk more about this in my Ultimate Branding Guide for eBay sellers. To sum it up Mamun, memory cards/storage products in general is a very risky niche to work in as you never know exactly what you’ll receive from suppliers, putting you in a very difficult and risky position in regards to the law. My recommendation would be – if you want to deal with memory cards, deal only with un-branded or your own brand (OEM) products and make sure that you have a process/system in place to ensure the products you order are the correct size. I have been researching your courses for a couple of months now and after finding many good reviews online, I would like to finally buy one. However, I’m not sure which of your courses would be most suitable for me? My target is to make £1K PROFIT every month from 2015. I do not currently have an eBay account but I do know how eBay and PayPal work and am also good at eBay advanced search. I work full-time from 9-5:30 but can spend at least an hour or two everyday after work as well the weekends. After a year of sales I would like to then have my own eCommerce site up and running. 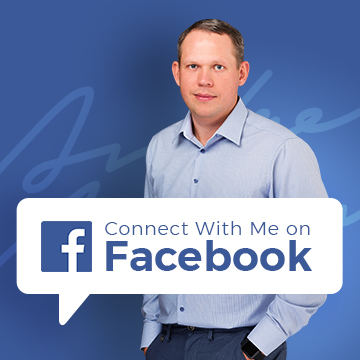 If you’re just starting out, you’ll want to get my Easy Auction Business course. In total there are more than 50 video lessons and 15 hours of step-by-step tutorials that will guide you through the entire process of creating a successful eBay business. I hope this helps & let me know if you have any further questions! I am planning to import £200 of wooden toys from China to sell on eBay. But what additional things should I take into account to know my total cost, i.e. taxes, duties, shipping etc. The guy I am talking to in China has quoted me 200 US Dollars for the 30 kilos of goods. I think that seems a lot and would there be any additional expense once it arrived in the UK? You can read more about the various shipping methods available when importing from China in my guide here. As for additional costs – yes, when goods arrive in the UK (EU), you’ll have to pay VAT which is 20% and import duty (varies on the type of goods, usually 3%-5%) so roughly you will have to pay 25% extra in taxes when the goods arrive. Lastly, as you’re importing toys, there are also some special requirements in place for such imports from China into the European Union. Products need to have special certificates and have tests done on the materials and paint used etc., so you’ll have to investigate this further to decide whether it’s even worth doing such a small importing deal from China, taking into account all the extra costs you’ll face when the goods arrive in the UK. I am 22 and in a full time job and am looking to create some extra income as I would like to spend some time travelling in around 2 years, so my plan is to work hard now and put in the effort needed to make some extra income. I’ve read through your blog and found it very good. I have tried your used-goods method but the problem I am finding is everything I bid on ends up over the TBP so I don’t buy the product. I tried with FIFA 15 for Xbox One and cannot find a sale equal to or lower than the TBP. I just wondered if you have any advice you can give me. That’s why you need to be smarter than your average competitor and put some extra work into this. Video games and Blu-rays are obviously very handy products to deal with – they’re cheap, easy to ship, store and sell. But easy always comes at a price – increased competition. Most people choose EASY and therefore it’s not always the best way to go. So what I would recommend is that you look into other product groups and niches where competition isn’t that high. You just have to use a little imagination and do simple brainstorming to find many other suitable products for the 2nd hand market. Think about what kind of products people mostly buy and sell used? You can even use Gumtree for this research process and get some fresh ideas that way. As you can see – all these niches are very well suited to this concept as people actively buy and sell used goods in these product categories. Hope this helps Jamie & good luck reaching your goals! First of all I just want to say that I love your website! When I read your articles I always think to myself that this guy is really experienced and knows how online selling works! My only question is about the DVDs/lessons you sell – I saw one but cannot remember the name at the moment (it said earn 550 a day by selling on eBay?). But hasn’t Alibaba become too commercial to get stuff from, I mean it’s even on the stock market right now, and Alibaba sellers are also starting to sell on eBay these days… What do you think – is there some sort of holy-grail without having to invent your own product? Thanks for your time, and please keep up the good work – I love your website and will definitely order one of your courses in the near future. The fact that so many companies use these sites doesn’t mean that their value has diminished. The opposite in fact, it only attracts even more suppliers on these platforms who previously didn’t have an online presence at all. The main principles to making it work are still the same – finding a product that sells and buying it from the right suppliers, in true bulk – so that you get the lowest price possible. Obviously, the best way to negotiate deals would be to go to China in person and hire a local person as a translator etc. But that’s expensive and only cost effective if you’re buying power is at least £20k or more. As for Chinese sellers on eBay – real manufacturers based in China don’t sell on eBay – they don’t deal with retail customers at all. The ones that are selling on eBay are individuals or trading companies and they still have to purchase these goods from the manufacturers. And they also have big disadvantages when selling on eBay, mainly their location and long shipping times. So you don’t have to compete with them on pricing! Check out my How to Compete with Chinese Sellers on eBay guide here where I talk about this in much greater detail. Being different matters of course – that’s why I have always told people to do whatever it takes to differentiate yourself from the competition on eBay. You can read more about my views on this in my Ultimate Branding Guide as well as How to Create New Products, Without Inventing. I just came across your blog. It’s obvious that you have got a wealth of experience about trading on eBay. I have an eBay shop and am currently selling ex chain store clothing but my major problem has been how to get genuine suppliers! All the suppliers I have used keep selling slight seconds clothing, claiming they are new, and because of the faults with these clothes I have been getting lots of neutral/negative feedback. As a result I have decided to stop selling these types of clothes and am now looking at starting with a completely new product, something that I can import from China. I would love to get your advice on this. It’s good that you already sell on eBay and therefore have a good understanding of how everything works. Many people start on eBay by selling liquidation or clearance stock but soon realise that it’s not a viable concept to build a long term business on. I have expressed my views on clearance stock in this article. As you have already realised, a better alternative to clearance stock is to buy brand new goods in true wholesale and import directly from China. My whole business is based on this strategy and this is exactly what I teach in my Easy Auction Business course. BEST Products to sell on eBay! I know the issues with declaring goods lower than actual purchase price when importing, but honestly – how can I compete with these bloody eBay sellers if I declare 100% of my costs. Do I declare 100% all the time or take a chance? Taking chances with customs shouldn’t be a part of any serious business. So drop that idea straight away. Yes, there will always be people who abuse the system and get goods through customs without paying all taxes but in the long term, this strategy simply won’t work, they’ll get caught sooner or later. And really there is no point in us genuine sellers complaining about it as that’s just the way it is and realistically it’s not going to change. You would be much better served putting all your energy into locating products with less competition, looking for cheaper suppliers, buying in bigger quantity, paying less for shipping by picking the most suitable shipping method, branding your goods to increase their value, taking great product pictures, creating listings that sell and so on! Simply do not compete on price alone so that you don’t have to fight with sellers who are happy to make 10p profit on a £10 item. Great guides on your website! I’ve got one quick question, for small items like car bulbs (usually a shiny surface) what photography set-up would you recommend? I currently have 2 x 135W table lights, a light tent and a Nikon D7100 camera and I can never get a white background without over exposing the product. Yes, see through/glass products are tricky to photograph and it takes a large amount of skill and practice to get good pictures. To make this task easier and make the product look better, I recommend you use a dark background instead of white as even if you are getting passable pictures with a white background, it will still look much better with a definite contrast between the product and background. So that’s why I’d suggest using black – it’ll create contrast and really make the product stand out. You can simply experiment with black, dark blue and dark grey paper backgrounds. Or for a shiny black effect tiles would be perfect. And as these are car related products, you could try using a sheet of grey carbon fiber material as that would perfectly fit your niche. To read more about various photography tips & tricks, check out my product photography guides here. I have been reading the very useful info on your site about VAT and wondered if you could possible help me with a specific question I have? I will soon be starting my online store, however as my startup budget is tight; I am starting as a sole trader. But before I launch my business I would really like to sort out the VAT question in my mind! To make things easier I think I won’t register for VAT, at least not yet anyway as I want to get started and make some money first. But then I’m confused about whether I should legally charge VAT on the products I sell? You see, the online store that I will be using automatically includes a VAT option which adds 20% to the total price of your product before it is posted on my own site. I think it is possible to just enter 0% so that the price doesn’t include any VAT. As if I do have to charge it then I may as well register straight away although I really didn’t want to due to all the extra paperwork that would be involved. So could you please advise me – should I not register for VAT but still charge it from the beginning or just I just keep all my sales details and exactly what I am charging for the future? Or ideally, if I can, should I just not include VAT on my products. As you’re just starting out, you definitely don’t want to register for VAT. If you do, you’ll simply pay more in taxes overall as explained in my VAT for eBay Traders guide here. Every shopping cart I have ever tested has the option to remove the VAT field altogether so it should be the same with your cart. Just try searching for this in your cart’s help pages/manual and remove the VAT setting from your shop completely. If that’s not possible, you could simply set VAT to 0% BUT only if it doesn’t show up on product pages, checkout pages and invoices. As if you’re not VAT registered, you can’t even display VAT on your shop/invoices, even if you set it to 0% (as that could confuse people thinking that you’re VAT registered and those products have a 0% VAT rate). But as I said, you should be able to disable VAT completely from within your settings. Do you think eBay have altered how it works with the recent changes? No, I haven’t heard of any major updates/changes in Cassini or Best Match algorithms. But as you probably already know, there have been many times when eBay’s search engine temporarily glitches so it’s nothing new. Give it a week or two before making any changes or drastic decisions. Also, it could be that the new products you listed are in very competitive markets? If so, definitely check out my guide on How to Get Your Listings to No.1 on eBay’s Search Results. Ok, that’s it for today! Thanks for all your questions and I really hope some of this is of value to my blog readers. Keep sending those questions in and I will see you in our next Q&A post very soon! Great blog! My name is Miguel. I own a company in Puerto Rico which is getting into the Medical Device Business. I see business opportunity with Alcohol Pads and have requested a quote form a company in China. They quoted a CNF price. After reading your blog, I understand what CNF is all about. I am in the process of contacting a local Freight Forwarder company that would help me to get the product to my door. As a US Territory, Puerto Rico behaves similar to the US in terms of regulatory laws, etc. I wonder if you know if there are any special regulations like licenses, certificates, etc for my company to import Alcohol Pads from China. No, unfortunately I’m not familiar with those types of products so you’ll do some research locally to find out what regulations there are in place.